It’s taken 160 years and an act of Congress, but at last the remains of a child killed in the Mountain Meadows Massacre will be laid to rest this week, bringing closure of sorts to the slaughter that ended the dreams of a wagon train of Arkansas families seeking a new home in the West. The skull will be buried Saturday (Sept. 9) at the Utah monument that marks the final resting place of the remains of the other victims. It will be the end of a long journey that began in April 1857 when the Baker and Fancher families and several of their friends and neighbors left their homes in Northwest Arkansas to pursue new lives in California. After a difficult few months crossing the plains and the Rockies, the families had reached Mountain Meadows, Utah, and were on the last leg of their journey when they were set upon by Mormon militia disguised as Indians. 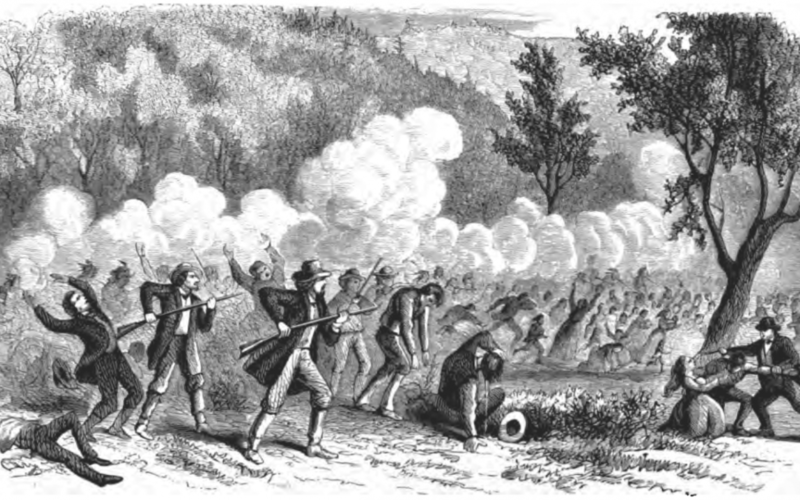 The massacre began Sept. 7, 1857, and ended four days later when, after disarming the California-bound travelers in a ruse of peace, the Mormons gunned down more than 120 defenseless men, women and children, leaving their corpses to rot in the sun as “evidence” that the brutality was the work of Indians. While Saturday’s burial of the skull will bring some closure to the 19th century bloodletting, it must not gloss over or rationalize the injustice that occurred in that meadow all those years ago. Nearly two decades after the massacre, only one man, John Lee, was held accountable for the mass murder. The others, along with the Mormon authorities that blessed the killings, made their excuses, pointed their fingers and went on with their lives. Closure does not mean this tragedy can now be forgotten. To that end, The Fugitive Son, the last book I wrote with my mother, Adell Harvey, strives to give life to the memory of the victims. A historical novel, it shares their dreams, their devotion to God, and their love of family through the eyes of a young woman who joins the wagon train on her own personal journey of love and faith.